Have I told you that I’ve been researching concrete overlays for my kitchen counters? Maybe I haven’t. Sometimes I like to keep things to myself until I’m really going to pull the trigger. In any case, I have been literally drooling over concrete counters for MONTHS. At first, I thought we’d have to pour our own, then I stumbled upon several blogger-invented methods of pouring a “skim coat” in place on top of your existing counters. But all of that still seemed a little iffy, I wasn’t sure if I wanted to take the risk. Remember my rule: take the risk, but only if you’re prepared to deal with a total fail!! Buying new countertops to replace our perfectly fine, very nice laminate is really not in the cards if my concrete experiment fails. I put it out of my head for awhile until I ran across talk of “kits”…products contractors typically use with pre-packaged bonding coat, cement, color, sealer, etc. I was pretty much sold on the idea. Now, I just have to pick a color. I’m leaning towards the sterling with the white cabinets and my travertine and glass mosaic backsplash, what do you think? I figured while I was pulling out my sink to do the countertops, I want to install a new under-mount version. Who has a sink they seriously love? Single bowl or double bowl? I’ve always had a double bowl, but I wonder if the grass is greener on the other side. P&G Giveaway Winner and A Recipe! LOVE! Will totally keep this in mind when we do our kitchen redo! Can’t wait for progress pics! I am so happy for you! I have a couple of questions. 1. How did you get your hubby to buy off on this? Your kitchen looks so nice now. Please tell me cuz I need to do it too with my hubby since I STILL have Formica 1980s cabinets (can you believe it) and he WON’T entertain the thought. 2. 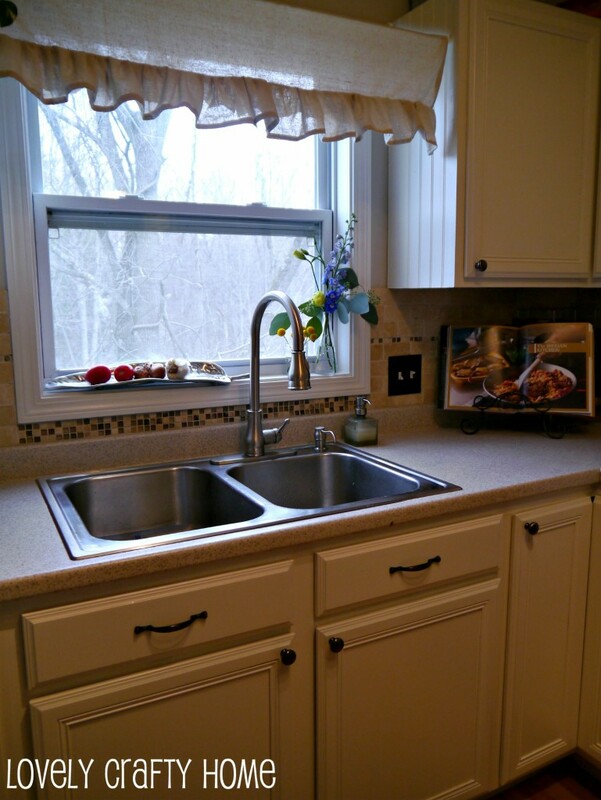 Your counter tops – do your cabinet structure have to be pretty strong for contrete ones? Can’t wait to see your new beautiful kitchen! 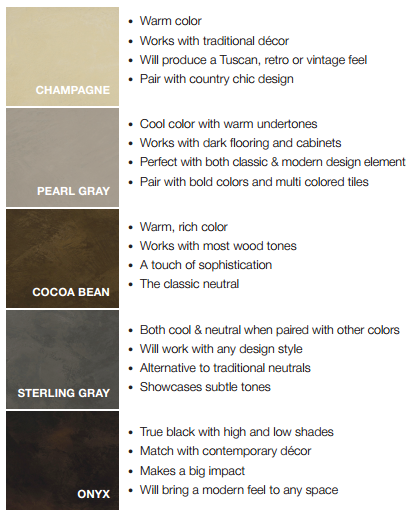 I love the sterling…think it would be a good neutral in case you wanted to change up your style down the line. I have a Big Sink Bowl with the smaller side bowl that has the disposer in it. I have had that in two houses and I like it. I can soak fruit and such in the smaller bowl without filling up the whole sink. 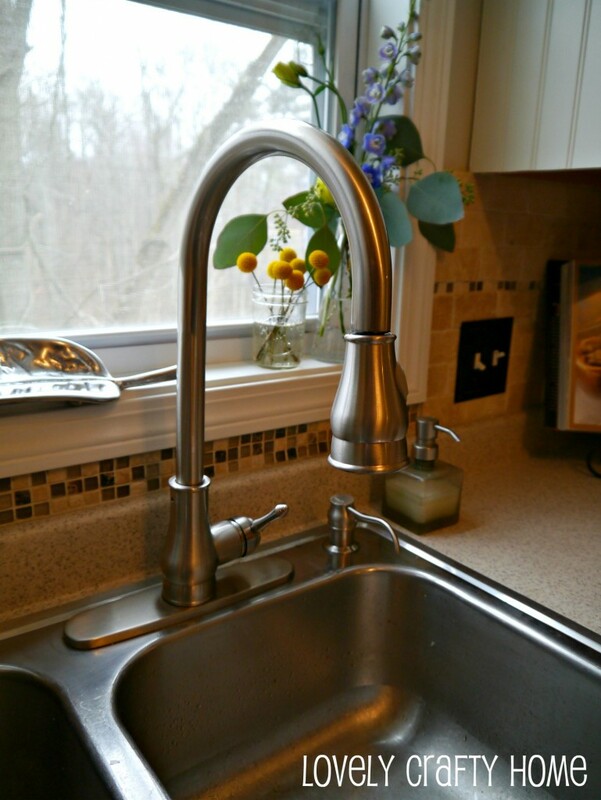 I do love farmhouse sinks though….but it’s really not my house style. Can’t wait for the pics. I always loved the concrete counters. Not brave enough to takle a project like that.I know my limitaitions. I do like the color choice, “sterling grey ” this is a timeless color, and goes with everything. So even if you should change things up down the road in your kitchen, the color goes with everything. Sinks, I love my farmhouse sink. 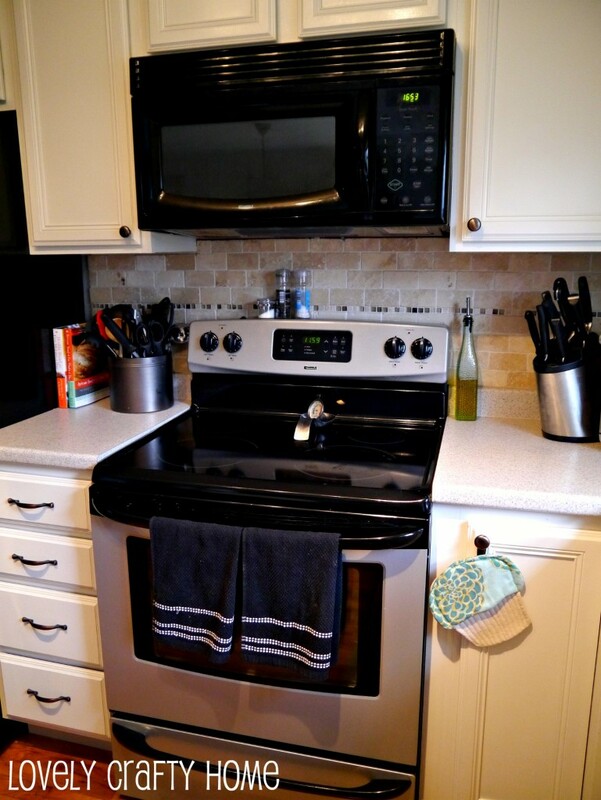 When it comes to cleaning a large roasting pan, cookie sheet…., the task is so much easier. Now the water stays in the sink, and I don’t have to wear a rain coat when I tackle these mighty large pans. I am looking foreward to seeing the process and the end result. I do have a ? Though. Because it is concrete do you have to re enforce your cabinets so that they can take the weight of the concrete? This is going to be gorgeous. I know what you mean about the rain coat! I feel like I’m constantly wiping down the whole counter when I’m done. To answer your question, the overlay type products are a great choice because you don’t have to reinforce the floor. You are putting on 3 VERY thin coats and sanding in between, it doesn’t add much weight at all (especially since we have laminate already, which is light). If I were to remove my counters completely and pour solid concrete, it might be an issue (I doubt in our house because it’s new, but maybe in older homes). I wish I had known about this product before we just tiled our counter tops. I had wanted concrete, but the hubs talked me out of it. I have a corner sink and he said there would be too many pieces and seams. Not sure if that’s true or if he just wasn’t up for lifting concrete. Can’t wait to see how it turns out. I would have chosen the Sterling too. Great color! @Cynthia: I also have the 1980s formica cabinets and countertops. Mmmmmm. ;-D Anyway, we can’t replace our cabinets with wood (budget), so I’m looking at two options: a cabinet door fabricator online to make wooden doors (and we hand them ourselves), or sanding, priming, and painting the melamine doors (and adding trim because I’m tired of the flat panel look).